RockTape is a premium kinesiology tape that features a tighter weave, greater elasticity and stronger adhesive than other kinesiology tapes. 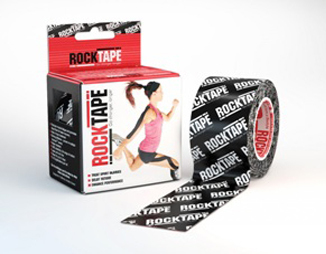 RockTape is 5cm x 5m and comes in a large variety of colours and patterns. As used by Gloucester Rugby and Brighton and Hove Albion FC.